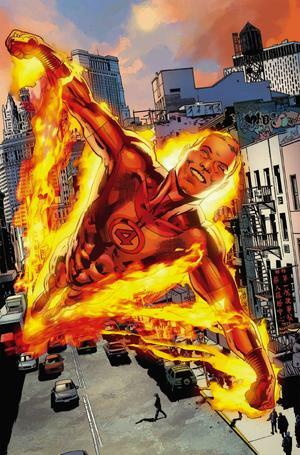 Human Torch's ability would trigger when one Summons a Monster as if they had fielded a character. Character dice and monster dice are interchangeable. Sidekicks in the Field Zone count as Monsters and Characters. Hulk: Green Goliath's ability can be activated multiple times per turn by Human Torch. For example, if your opponent has Hulk and Human Torch: Johnny Storm fielded, Hulk could be dealt 1 damage each time your opponent fields a character, causing Hulk to deal 2 damage to your characters each time he takes damage. Note that if something increases the amount of damage dealt to be "more" damage, Hulk wouldn't trigger an additional time.